Trench Heating is a discrete method of supplying heat to your room, freeing up wall space from Radiator use. Trench Heaters can be fan assisted to provide greater BTU heating output for the Canal Trench Heater size. 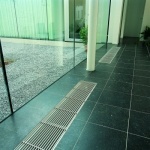 At TrenchStyle we supply Jaga Trench Heaters as they represent cutting edge infloor radiator design and construction. Our Jaga Trench Heating radiators are build to order with a 4-6 week delivery. 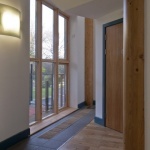 You can call Trench Style to assist with your Trench and Canal Radiator Heating requirements. You can buy Jaga Trench Heaters online at TrenchStyle with Free Radiator delivery.